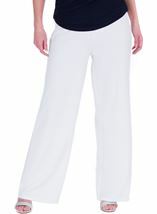 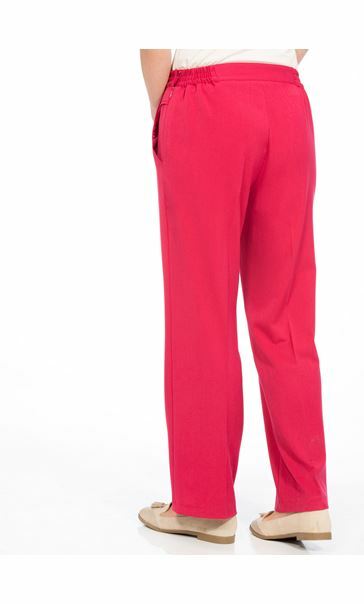 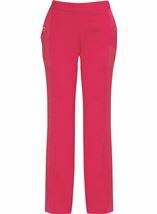 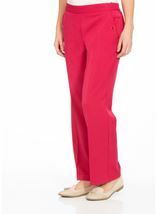 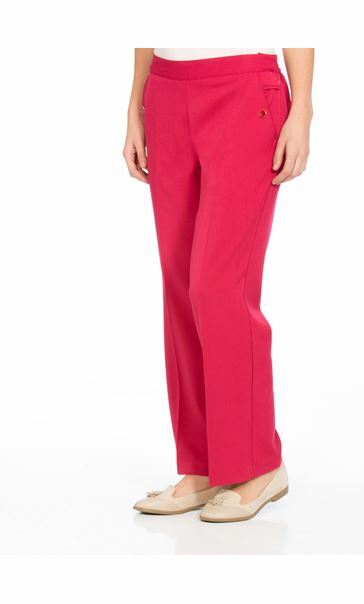 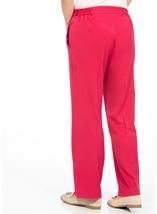 Update your everyday wardrobe with these straight leg Anna Rose trousers in a raspberry hue. 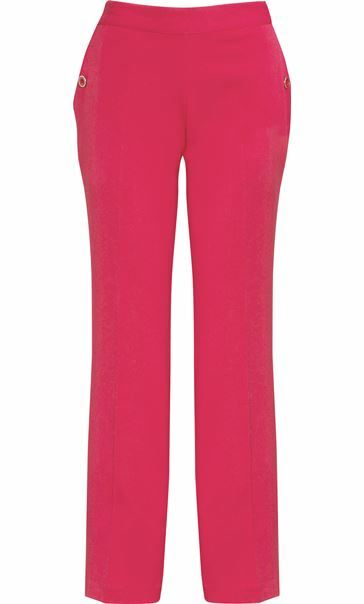 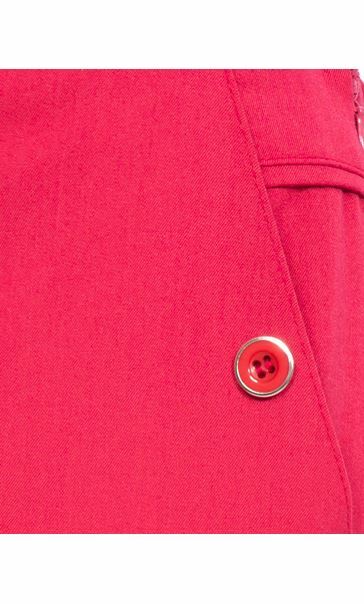 Crafted in a soft stretch fabric with part elasticated waist to the back, concealed zip and clasp fastening to the side and finished with decorative button detailing to the front pockets. 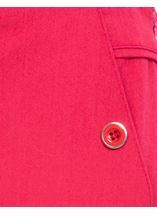 Inside leg 74cms.